One or two minutes may be all the warning you get when it comes to fire. Fire-safe gardening around your home can give you the time you need to get out safely. Several years of drought have killed over a million trees in California since 2010. Most of those trees died in 2016, and more are doomed. Many local trees are not as healthy as they could be due to drought, bark beetle infestation, and disease. These trees have more dead leaves and twigs, making them susceptible to fire. Rather than allowing fire to race through your landscape, create spaces that slow or stop those flames. California state law (PRC 4291) requires that all rural homes have a 100-foot defensible space. This space helps keep you, your family and our heroic firefighters safe. While suburban homes have different laws, fire safety is still critical and fire-safe gardening just makes good sense. Defensible space is made up of two zones. Zone 1 is a 30-foot perimeter around any structures. Keeping Zone 1 fire safe means removing all dead vegetation from the ground, roofs and rain gutters, pruning tree branches at least 10 feet away from buildings, moving patio furniture away from trees and shrubs, and moving wood piles and other flammables into Zone 2. Zone 2 extends 100 feet from your home. To keep Zone 2 fire safe, mow grasses to 4 inches or lower, rake up dead vegetation, and create spaces between trees and shrubs. This means removing any tree branches that are 6 feet from the ground or less, and pruning trees to be 10 to 30 feet apart, depending on the slope. Because shrubs can flame upward, they should be placed or pruned so they are three to six times their height from any trees, depending on the slope. Mulch can add fuel to a fire, or slow its spread. 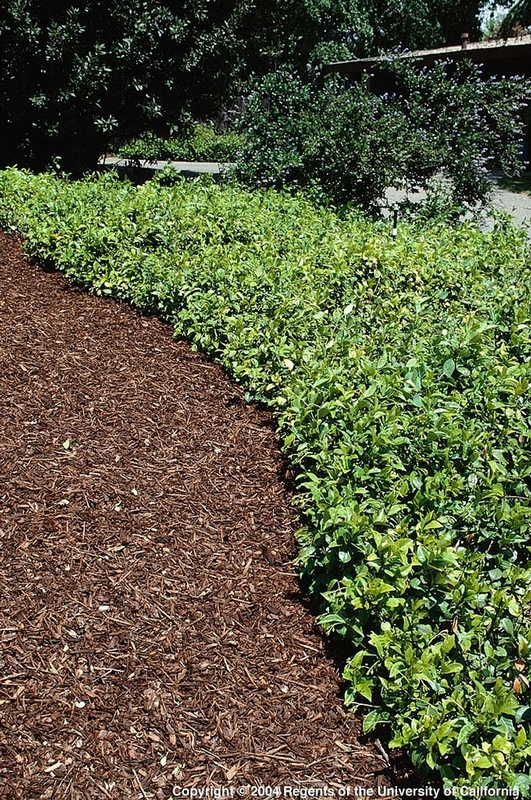 The most dangerous mulches include shredded rubber or western red cedar, gorilla hair, and pine needles. Pine bark nuggets, Tahoe chips and other plant biomass from tree chipping operations create a moderate risk. Composted wood chip mulch does not create a significant fire risk. There are no truly fire-resistant plants. Keep your home safe by planting low-growing, high-moisture plants closest to your home. When deciding where to install plants, imagine your home in the bottom of a shallow bowl. Plants should get taller, further from buildings. This helps draw fire away, rather than closer. Despite their name, evergreens are far more flammable than hardwoods. If fire risk is especially high, remove shrubs and vines that touch your home (plant new ones later), and rake mulch at least 5 feet away from all structures. Create a fire safety plan. Seriously. It takes 20 minutes and could save your life. Above all else, in case of fire, get out and stay out. Everything else is temporary. This article first appeared in the August 16, 2018 issue of the South Valley Magazine. PREVENTION The first step to controlling citrus mealybugs is to monitor trees in the spring for signs of ant trails, sooty mold, and egg clusters. Cousin to scale insects, these tiny Morgan Hill pests are often overlooked. At first, you may see some sooty mold on a few leaves, an ant trail, or finally, a telltale cluster of fuzzy white tucked under leaves or in crevices. Left unchecked mealybugs can scar fruit and cause chlorosis, early leaf and fruit drop, and poor tree health. All mealybugs are soft, flat, oval-shaped critters with segmented bodies. The mealybugs that attack Morgan Hill citrus are covered with a white wax that also creates spines (filaments) around the outer edge and the back end of the bug. Unless you use a hand lens you probably won't notice individuals, but mealybugs colonize areas creating white, fuzzy egg clusters that are easy to spot. When mealybug eggs hatch the crawlers are pale yellow with red eyes, and distinct antennae. Crawlers are not born with their protective wax coating. They begin to excrete it soon after hatching. They are called crawlers because they crawl to a feeding site, where they will continue to develop (and damage fruit) for a month or two. Each female mealybug can lay hundreds of eggs, and there are usually two or three generations a year, so infestations can become a problem. As sapsuckers, citrus mealybugs pierce fruit, leaves, and young stems to get at the sap. They also feed on tender, new growth. As they feed mealybugs leave behind a trail of honeydew that attracts ants and creates the perfect growth medium for sooty mold. Citrus mealybug feeding near fruit stems also leads to fruit drop. This feeding also reduces fruit quality. Trees fail to thrive and are prone to infestation by disease and other pests. In addition to oranges, lemons, limes, and grapefruit, citrus mealybugs also have a taste for ornamental plants, such as tulips, coleus, cyclamen, begonias, and dahlias. The first step to controlling citrus mealybugs is to monitor your trees, especially in spring and fall, for signs of ant trails, sooty mold, and egg clusters. Since ants will protect and farm the aphids for their honeydew, apply sticky barriers to tree trunks to block ants from protecting the aphids against natural predators. Those natural predators are your trees' best defense against citrus mealybugs. Lady beetles, lacewings and hoverflies will devour these pests so avoid using broad-spectrum pesticides. For extreme infestations, you can buy an introduced predator called the mealybug destroyer (Cryptolaemus montrouzieri). Insecticides are not recommended. Diatomaceous earth and insecticidal soaps can also be used. Mealybugs prefer dusty conditions so hosing trees off can make them less appealing to citrus mealybugs. This article first appeared in the March 23, 2018 issue of the South Valley Magazine. TOXIC CONTROLS Cabbage aphids produce a mustard oil as a defense to predators like ladybugs and their larvae. Aphids, or plant lice, are nearly always a problem in the garden. This is particularly true in winter when it comes to cabbage aphids. Cabbage aphids (Brevicoryne brassicae) can wipe out a cabbage crop before it ever gets started. Native to Europe, this pest of cole crops is now found throughout the United States. Like other aphids, cabbage aphids are small, teardrop-shaped, sap-sucking pests that can reproduce at an alarming rate. While soft-bodied cabbage aphids are actually grayish-green, they look powdery blue to grayish-white because of a waxy covering. Cabbage aphids are not difficult to see because they live in dense colonies that can cover stems, new leaves, and entire plants practically overnight. In our moderate climate, these pests produce live offspring year-round. Cabbage aphids have an amazing defense mechanism. They produce an enzyme in their head and throat muscles which gets combined with defensive chemicals (glucosinolates) from their host plants to create an explosive chemical reaction. This reaction produces mustard oil. Unfortunately, this “walking mustard oil bomb” defense is particularly effective against ladybug larva. Cabbage aphids feed on the youngest, most tender parts of new cabbage, broccoli, Brussels sprouts, kale, and cauliflower. These pests also eat the innermost parts of cabbage and Brussels sprouts heads. Large colonies can stunt or even kill young plants. 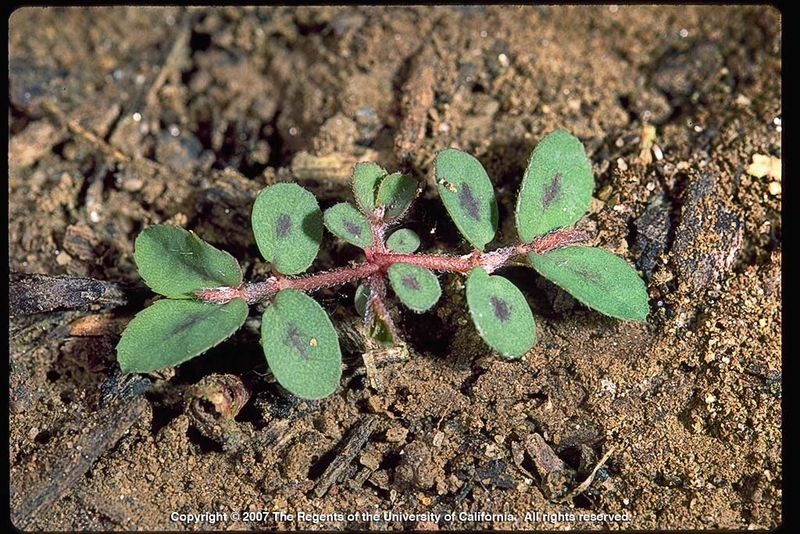 Heavy aphid feeding causes leaves to curl up, providing the pests with a protective cover. Prevention is key to cabbage aphid control. Row covers are an excellent way to protect young crops while they are getting established. Once aphids are seen you can often use a strong spray from the garden hose to dislodge them. If that doesn't work, insecticidal soaps can provide some control. Since some insecticidal soaps may be phytotoxic (meaning sunlight causes them to burn the plant), it is a good idea to apply them on a foggy day, especially for cabbage and Brussels sprouts. Another way to make life more difficult for cabbage aphids is to remove any weeds in the mustard family from your property. Cabbage aphids hide out in the mustard and then return to your garden plants. Pesticides can be used as a last-ditch effort, but aphids are developing resistance to these chemicals—a potentially dangerous spiral. Another problem with using pesticides against cabbage aphids is that those same chemicals also kill beneficial, predatory insects, such as lady beetles, parasitic wasps and syrphid flies (hoverflies). These helpful insects are natural predators of caterpillars, imported cabbage worms, diamondback moths, loopers and armyworms, which can cause other problems for your cole crops. Monitor your plants every couple of days and be on the lookout for cabbage aphids! This article first appeared in the February 9, 2018 issue of the South Valley Magazine. TOXINS AMONG US Certain plant leaves including rhubarb, cabbage, spinach and beet tops, contain oxalic acid. Oxalic acid—you've heard the warnings, telling how rhubarb leaves and other plant parts that contain oxalic acid should not be eaten. But that's not entirely accurate. Let's learn the truth about oxalic acid in the garden. As an acid, oxalic acid is corrosive. It is used as an industrial bleaching agent and heavy-duty cleaning product. Apparently, it works especially well on removing rust. Oxalic acid is also classified as nephrotoxin, which means it can damage your kidneys. Oxalic acid, in the form of calcium oxalate, is the most common ingredient of kidney and urinary tract stones. Oxalic acid can also cause joint pain. At high concentrations, oxalic acid really is deadly. According to the National Institutes of Health, lethal doses range from 15 to 30 mg, though an oral dose of 5 mg has been fatal. In each of these cases, it is the amount of oxalic acid being ingested that is the problem. The levels found in many foods are too low to cause problems. Bottom line, a 150-pound person would need to eat approximately 12 pounds of rhubarb leaves for it to be dangerous. And spinach leaves contain more oxalic acid than rhubarb leaves. That's why your teeth may feel funny after eating spinach. It's oxalic acid crystals binding with any nearby calcium to create calcium oxalate crystals. These crystals stick to your teeth for several minutes to an hour. Oxalic acid is found in a surprising number of food plants that we eat every day. The trick is in the concentration. In fact, oxalates can be toxic to plants, too, but plants bind those oxalates up in crystals that they then use as tiny spears to defend themselves against herbivores. These specialized cells are called idioblasts. Oxalic acid is formed when plants burn sugars and carbohydrates as fuel. Oxalates are also used to balance calcium levels, within the plant, by binding to calcium molecules. This is why some people say eating high levels of oxalic acid can interfere with healthy bones and teeth, but, again, you would have to eat an awful lot—over a long period of time—to cause any real problems. By the way, our bodies produce oxalic acid out of Vitamin C, on purpose. Also, cooking plants that contain oxalic acid has not been shown to reduce oxalate levels. Armed with this information, I went out to my rhubarb plant and broke off a young leaf and ate it. The flavor was actually pretty nice, something akin to spinach, but lighter. And I lived to tell about it. This article first appeared in the January 5, 2018 issue of the South Valley Magazine.